There is just something about being on a sailboat in the San Juans that works. Maybe it’s the wind in the sails, the salty sea air, or the porpoise following in our wake. Part of the allure of the San Juan islands is about being in touch with the rhythm of the tides. It is about whales and eagles, and emerald islands that await your discovery. So much of the world passes before us without our being able to see, touch, or feel it. 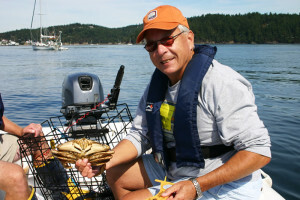 Our San Juan island trips provide a way to experience what is so often missed. Sheltered from the Pacific Ocean and nestled dry and warm in a rain shadow formed by the Olympic mountains, the San Juan islands receive less than half of Seattle’s rainfall. From quaint seaside villages to remote cedar lined coves, the verdant islands beckon sailors to explore. Discover a deserted lighthouse on an early morning hike, the joy of setting sail in the warm afternoon sun, or the freedom of paddling a kayak over eel grass shallows to reveal a myriad of colorful sea stars. Our sailing adventures will leave you refreshed and renewed. 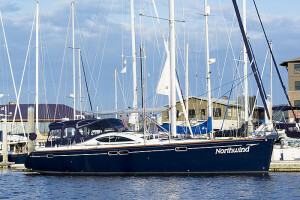 Using Northwind as your base you will explore both quiet coves on secluded islands, to quaint towns and historic sites. 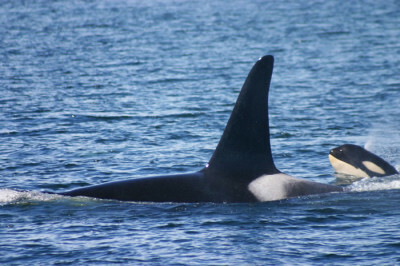 There are four major islands which include Orcas, San Juan, Shaw and Lopez. But in reality there are over 200 islands in the archipelago to see. Each island is unique with its own story to tell and most are only accessible by small boat. There are many variations to this itinerary below. 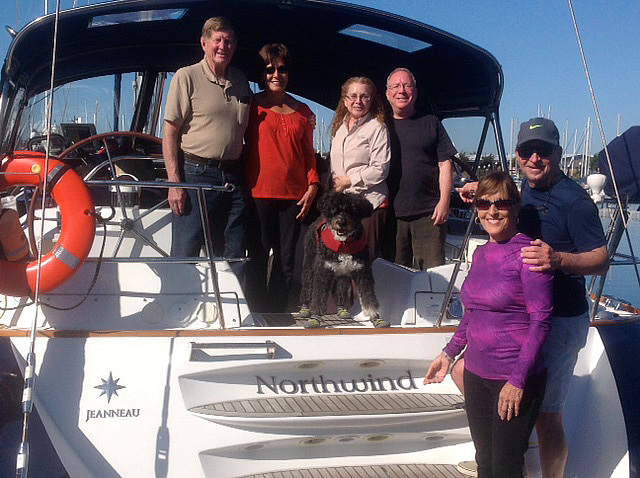 If you book the entire boat we can plan a custom itinerary for your group. If you’re not sure where to go, we will take you to some of our favorite spots. Sit back and relax and lets take a short cruise through the islands. 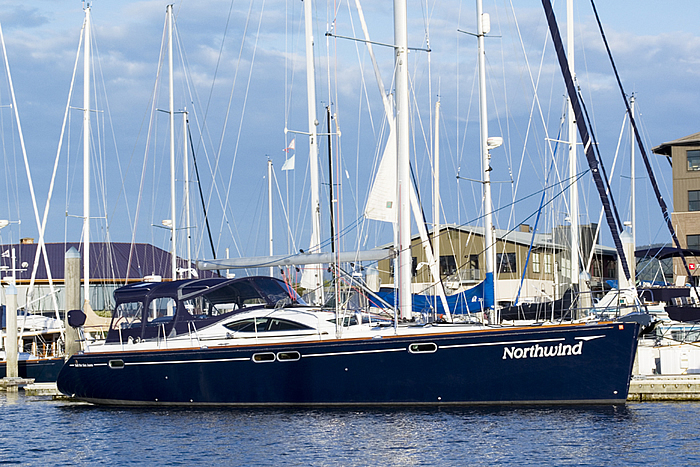 Day One – Sunday 2:00 pm – Welcome Aboard Northwind, your home for the next 6 days. You are going to love your cruise with us! After you arrive we will show you to your cabin and have a brief orientation to familiarize you with being aboard the yacht. Shortly we will leave our slip in Bellingham and take a casual sail across the bay towards Lummi Island. You will want to be up on deck, or in the covered cockpit for the best view of 10,778 ft Mt. Baker. If anyone wants to take the helm, we will show you what to do. We head up Hales Passage and then pass isolated Clark Island, a favorite of kayakers. Off to our port side is Matia Island. 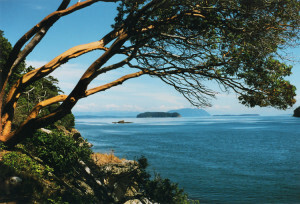 Matia is a small Washington State Marine Park and much of the island is part of the San Juan Island National Wildlife Refuge. It’s getting late so we better sail on to beautiful Sucia island, our destination. We will put some appetizers out to hold you over until dinner. Sucia is one of our favorite islands, translated from the Spanish the name means “foul” and refers to the rocks and reefs that surround the island. Sucia is perhaps one of the most interesting islands in the area for geology and wildlife. It is the largest of the Marine Parks and is actually composed of several little islands surrounding one main island. There are several different coves to choose from when spending the night. Two of our favorites, Echo Bay on the east side has lovely views of Mt. Baker, and Shallow Bay on the west side is known for its sunsets. Which do you prefer? Day Two – Monday: After exploring Sucia we set course for Roche Harbor on San Juan Island. On our way to Roche we will sail up the west side of Orcas Island. (we often see porpoise in this area) You may even catch a glimpse of abandoned lime kilns hidden in the forest along the shore. We will serve lunch underway today. 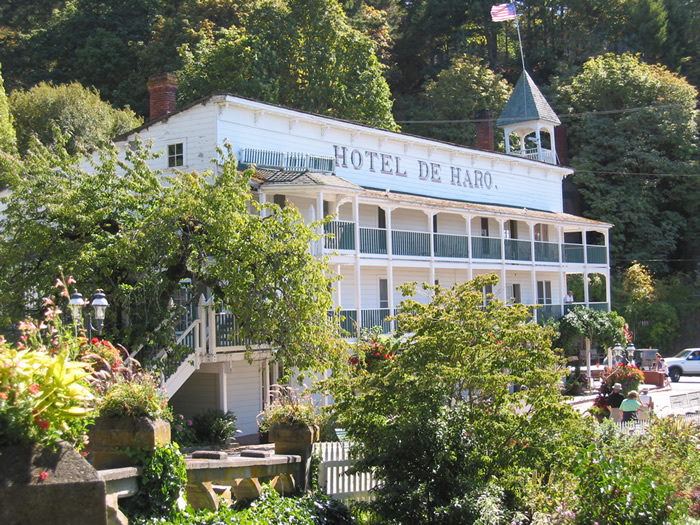 Arriving in Roche the beautiful Hotel De Haro (once the home of Limestone king, John McMillan) will greet you along with a cute little white church, a beautiful garden and an unusual monument. There are also the remains of the 13 lime kilns that helped pave the streets of Seattle in the late 1800’s. After a short stay we motor up Mosquito Pass to Garrison Bay where British Camp is located, the quaint museum/monument for the “Pig War” that took place between the Americans and British on San Juan Island. Need more exercise? 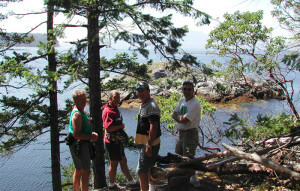 There is a great hike nearby to a viewpoint at the top of Mt. Young where British soldiers once stood watch. We often spot Orca whales nearby off the west side of San Juan Island and the salmon fishing can be good near here in the fall. If you want to try some of the best oysters you’ll ever taste-we will hop in the zodiac and pay a visit to Westcott Bay Sea Farms and pick up a few dozen for an appetizer. 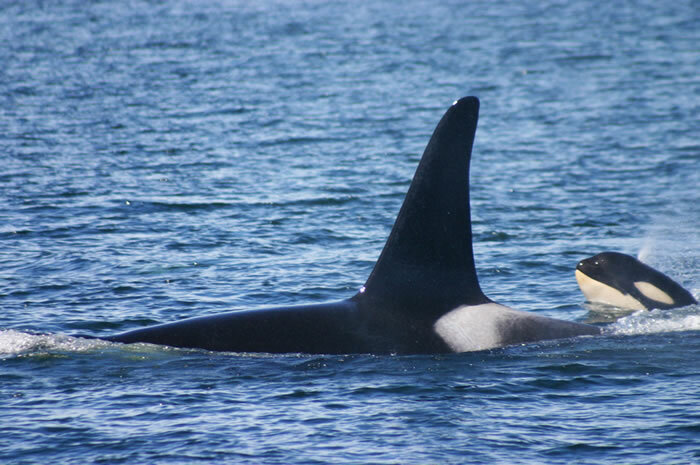 Day Three – Tuesday: Keep an eye out for Orca whales, this is where we usually spot them. If they’re around you’re in for a real treat! 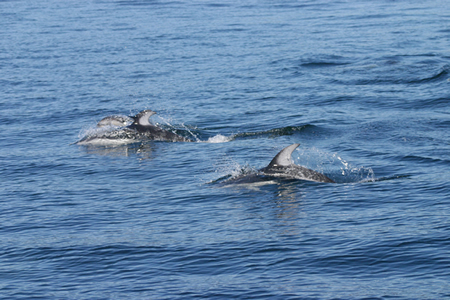 Often we have over 20 whales swimming near our boat and it’s a mad dash for your camera! We set course for Prevost Harbor on Stuart Island. This is a well protected spot with some farms owned by islanders. We are just a few miles from the Canada/U.S. border and we will see the large ships heading up Boundary Pass for Vancouver and beyond. There are some great hiking trails to a beautiful lighthouse, a one-room schoolhouse, and to a viewpoint of Vancouver Island and the Olympic mountains. You might encounter a herd of wild goats, deer or see a wild mink or even a family of otter! This would be a great place to try out our Ocean Kayak for a solo or tandem paddle or perhaps drop a crab pot out of the zodiac to catch some Dungeness Crab for a special dinner. Day Four – Wednesday: Weigh anchor at Prevost and head for Friday Harbor on San Juan Island. If you join us for a sail in the early spring, we might stop off at colorful Yellow Island, and land the zodiac on the beach. Yellow Island is a little 11 acre gem managed by the Nature Conservancy that puts on the best wildflower show in the islands! Carpets of Yellow Island purple camas, red indian paintbrush, and western buttercups cover the island. All told, there are more than 50 species of wildflowers in one compact location. 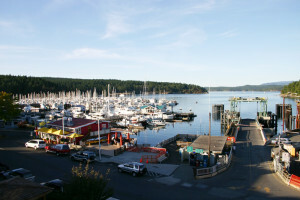 Friday Harbor is the hub of the islands. A cute little town that has much to offer. Because the ferry stops here it can be a bustling spot. We will tie up to the dock to spend the night. You will enjoy checking out the shops, renting a bike or moped, or visiting the Whale Museum or art galleries. 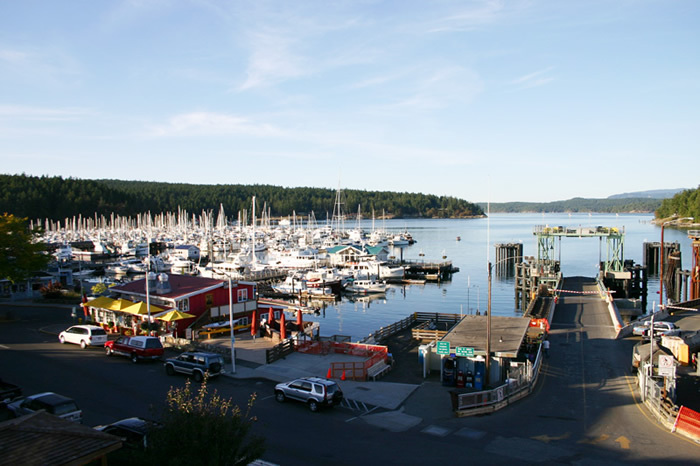 Tonight you will eat out ashore in Friday Harbor to give the crew a break…we have some great recommendations we will share with you! 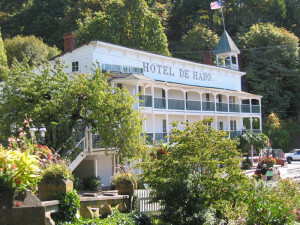 Day Five – Thursday: Today we depart Friday Harbor for Eagle Harbor on Cypress Island. 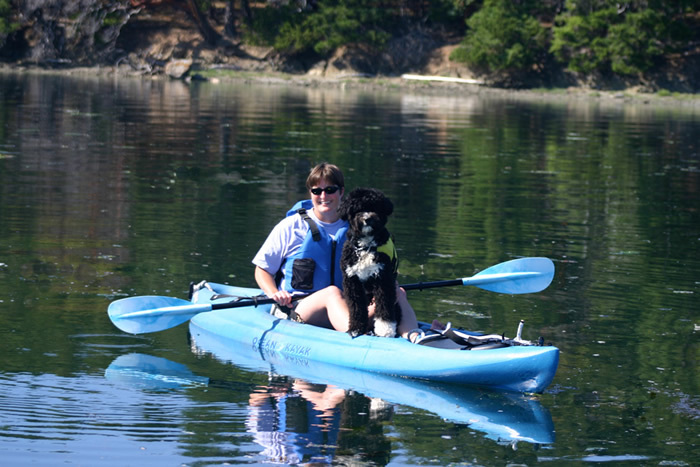 For those of you seeking more solitude you will enjoy the forested hills of Cypress Island where you can hike for hours on beautiful trails, or enjoy a quiet paddle in the kayak. Cypress is another of our favorite islands as it has a remote, wild and rugged feel. There are at least four choices for hiking trails that vary from easy to difficult based on grade. Day Six – Friday: You have seen some beautiful islands and some spectacular wildlife! You have enjoyed the amenities of Northwind and you have feasted on some of the best cuisine in the islands from our own Chef Jette. You now feel relaxed and pampered. Most of our guests are now friends, so saying goodbye is not easy for any of us. You have grown attached to your cabin and all the good naps you caught there in the afternoon. Sorry, it is time to return you to the real world. So a little sad and yet very content, we chart our final leg back to Bellingham, sailing up Rosario Strait or Bellingham Channel. We should return by noon to our slip, weather and tides permitting. San Juan Islands Chartered Sailing Vacation today! © 2019 Sail the San Juans. All Rights Reserved. 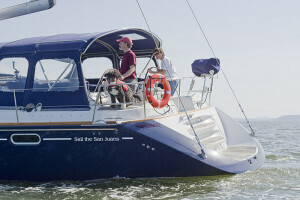 your next San Juan Islands sailing charter adventure!